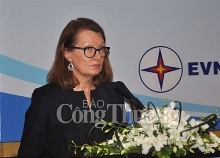 The cooperation program will be implemented within one year, offering training on capacity building for Vietnamese customs officers, especially the control staff, on risk assessment, risk records making and enforcement at seaports and airports, as well as at several departments of the General Department. 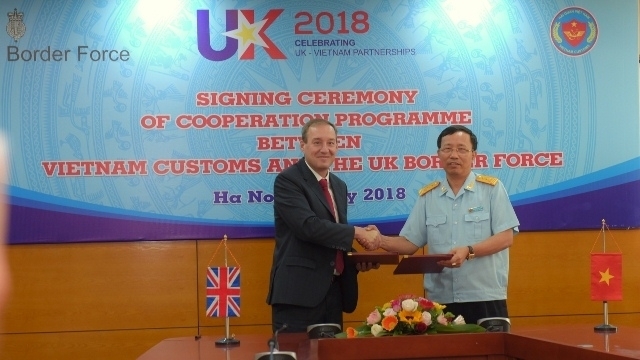 In the long term, the two sides will promote exchanges and request that the governments of both sides consider and approve a governmental agreement on cooperation and mutual administrative assistance in the customs between Vietnam and the UK. The two sides have witnessed positive progress in their bilateral trade and economic cooperation, especially after the signing of the Strategic Partnership Agreement in 2010. In 2017, bilateral export turnover reached US$6.2 billion and has been increasing steadily over recent years. At present, the UK is Vietnam's third largest trading partner in Europe. 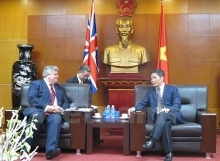 Vietnam Customs attaches great importance to its bilateral cooperation with UK partners. 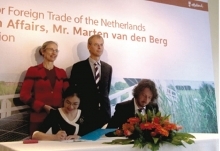 The two sides signed a Memorandum of Understanding on anti-cross border smuggling and anti-cross border customs violations in 2007, as well as cooperating in capacity building in 2008. They have collaborated in the work of verification, anti-smuggling and trade fraud, and exchange delegations.